Dr Liz's musings is about .... well, my musings. (A warning about this one.... it is written with a heavy heart, and in response to the events in the past few days in Australia and overseas (an opinion piece against veterinarians in a newspaper, and the deaths of model/media icon Charlotte Dawson and US veterinarian, Shirley Koshi). Veterinarians are part of the noblest professions in the world, but it is equally the most misunderstood. Whilst we all accept that people who can kick a ball around a field, or hit a white thing into a hole at a long distance earn a lot of money, we don't criticise them for this, or pay them less. We buy the trashy tabloid magazines which wouldn't know the truth if they ever came across it, perpetuating this image of stardom and allowing them to make more money. Yet, the humble veterinarian, who often works under extremely stressful conditions, with the lives of loved pets under their direct control, are amongst the lowest paid of professionals, and with the longest hours. We don't seek fame or fortune. We don't advertise on TV on how hard we work, or the care we take. We don't go on strike for our rights to decent pay or working conditions. We don't complain (much) about our interrupted family lives, in looking after the loved animals that are under our care. Sadly, we do expect something in return for our contributions to our society. We do expect to be treated in the same way as we treat others - which is with respect, dignity, honesty and integrity. As a profession, we work towards the betterment of our pets and their loving pet owners. As a result of what we expect, and what we know we deserve, it hurts deeply - really really deeply, when it is implied or we are accused of rorting or scalping pet owners. It hurts because it simply is not true. Even the gentlest, forgiving souls would be affronted by such an accusation. I have distant family members who earn a lot more than I do (as they often boast about their income at family BBQ's), yet have supported the "vets are scoundrels and rip people off" on social media. A recent family incident occurred when I charged one family member $400 for a procedure that I should've charged $1400 for, and was actually done for less than the cost of performing that procedure to me. That $400 was still too much for them. Surely they understood what they wrote was not private - I could read it too - it is social media after all. In essence, what they wrote, and the abuse against vets that was written (even though not directed at me), was full of spite and meanness. That was one of many lessons I learnt of what some people think of my beloved profession, and of what I spend every breathing moment doing. In my mind, it spoke more about how they valued their pet, rather than of me or my profession. It was "It's just a dog", kind of value, and "I had better ways of spending $400", which was said. I tell myself the same thing as my father used to tell me when I was bullied at school - the comments reflect more on the person who says them than on you - I remember this as I read another report of a colleague who commits suicide as a result of similar bullying. These colleagues are unable to deal with this continual attack, and must wonder "why did I choose a profession that is thought off so poorly by the general public". Today I read a disturbing opinion published in a popular newspaper about how vets are "scalping" pet owners in recommending and performing unnecessary procedures. In reading that article (which you can read here), it touched a nerve. I wrote about this kind of attitude on Feb 4th 2014, weeks before the article was published. It was as if I wrote the response to the article before I even knew it existed! My first thought to the journalist's opinion was to ignore it. After all, we are in a democracy with free speech... they are entitled to their opinion, and I, as an individual, must respect that right. But then something niggled at me all day... and so I re-read it, and realised the copy wasn't even worthy to line my budgie's bird cage with. But still, something was bothering me about it. I couldn't get it out of my head. So I read it again. This article probably didn't even relate the true veterinary consult experience that it was talking about. It read like fiction. It is an opinion piece in a newspaper, and it talks about something that a tiny number of our community love to talk about - which is that vets are a rip off. I read that article, and, in my view, if the story is real, the only person who got short changed was the poor dog. It was failed by both the veterinarian (who performed a substandard procedure in cosmetic plaque cleaning (by flicking tartar off in the consultation room and not addressing true dental disease), and the pet owner (who failed to understand that her pet had dental disease, not a cosmetic stain of the teeth). The irony of the situation is that the vet provided an excellent customer service experience, in providing a service which satisfied the client. She walked out happy, as instead of booking her pet in proper assessment of the oral cavity, and appropriate treatment, she walked out with some furry stuff wiped off her pet's teeth. And sadly, because the vet provided excellent customer service to the paying owner, the most important customer, which is ALWAYS the pet, was forgotton. This beautiful, placid dog may or may not have dental disease, but we will never know. The author of the opinion is unlikely to subject her placid dog to a general anesthetic to determine if that may be the case. 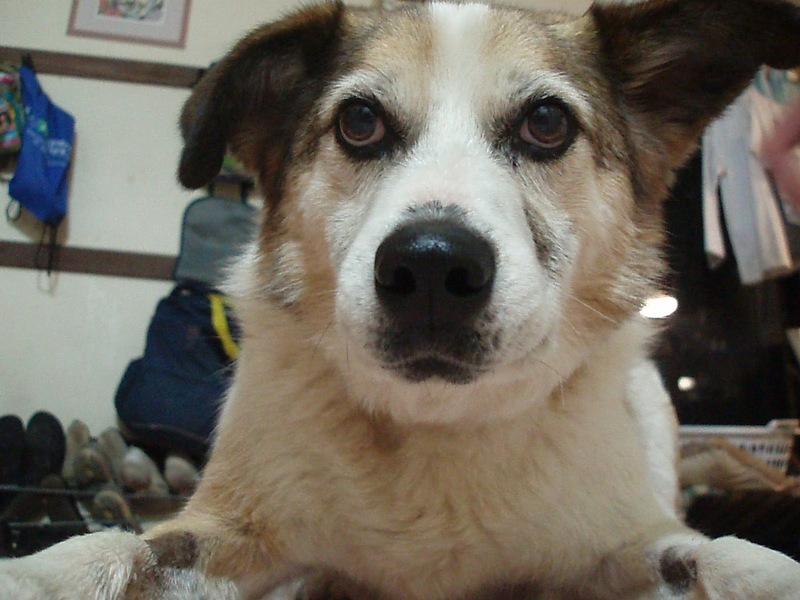 Equally, this dog may be placid because he has hypothyroidism, or it may have dental disease because it is diabetic. But, I suspect if annual health screenings was even suggested to this owner, because of her pre-conceived ideas of "healthy", the vet would be accused of over-servicing. Failing to diagnose such conditions, or failing to recommend diagnostic tests has been argued in the courts to be negligence. Welcome to the veterinary version of Catch 22 - you're damned if you do, and you're damned if you don't! There is a saying my old Prof used to say "you miss more for not looking, than not knowing"... and this statement I remember whenever I see another skin case, or another coughing dog, or the "aint doing well dog". If the opinion article which has sparked these musings is of any reflection of community sentiments (as it claims to be), then it appears vets will miss a lot of diagnoses. Our pets will not receive the treatment they deserve, and we will be back to practicing veterinary medicine from the 1930's, where the lifespan of dogs was 7 years, but they had plaque scraped off in the consultation room. After all, in the view of this minority, to perform oral cavity assessments and treatments to 21st century standard, is "scalping" the client. If that is what the community wants, then, sadly, veterinary work will be part of my "past experiences" rather than current vocation. No matter how much I love to read James Herriot, I certainly do not want to practice 1930's veterinary medicine. At the end of the day, I am thankful that the original newspaper opinion which prompted this musings is just that, one persons opinion, and that, overall, it is the opinion of a noisy minority. But minority's are able to inflict harm -we can say "sticks and stone may break my bones but words will never hurt me", but we know that public words and opinions do hurt - and it can kill - as it did Charlotte Dawson, and as it did my colleague, Shirley Koshi in the US this past weekend. They never knew each other, or even of each other's existence, but both died on the same weekend, and both as a result of ongoing negative opinion and cyber bullying which they had endured for years, until it became too much for both of them. It is with compassion and hope in my heart when I say - enough is enough! Let us start showing some kindness to each other, and trust that we are all working towards the same goal, which is the ultimate great health of the pet that is in front of us. I am Dr Liz, the mad vet from Bellambi Lane. For Happy, healthy pets... always. Why this vet has Pet insurance for her dog! set up the four week free Pet Insurance that is available through our vet hospital. For more information on what we offer to all puppies and kittens less than 12 months of age, it's all here! And when we knew that was set up, we then finalised it with her proper long term Pet Insurance Plan. You might think this is strange, that a vet would insure her own dog, especially when she has a veterinary hospital, that is capable of performing a lot of procedures and treatments. You might also think it a waste of my money, as I wouldn't be able to claim for a lot of the things, or unlikely to claim, simply because I could do virtually most of the things she could possibly need. I know that we live 20 minutes from my vet hospital, and that Piper is likely to be travelling in and around Dapto and Shellharbour - which meant in an emergency, she may end up at one of my colleagues' veterinary hospitals. I knew that they would (as they should) charge me for the optimal care that she deserves, and they couldn't (as they shouldn't) allow an account, for me to pay when I could afford it. The decision was made simply because I took my vet hat off, and looked at Piper as a beautiful puppy belonging to a loving family. And with that, I wanted the absolute very very best for her if anything went wrong. What if she needed an MRI? A CT scan? Chemotherapy? What if she needed spinal surgery or eye surgery? What if she needed lifesaving treatment that cost $5000 or $10 000 or even more? Could I afford that? There isn't a general practitioner vet in Wollongong that is a specialist in chemotherapy, or has an MRI or CT scanner in their back pocket! As a mother of four children, in a very small business, if I had to face this financial question, the answer would have to be -- well, its not "no" but it would pose a huge financial strain on me and my family... and I would have to make a decision on the care of Piper based on money, not on what is best for her. And as a vet, I hate that money can stop me from doing what needs to be done to help any pet, including my own. The irony of that situation was that I was going to start pet insurance policy on him when he turned 7, and a colleague (upon hearing of it), said to me "how stupid is that". He was actually the speaker at this pet insurance seminar. Out of respect for his opinion, I didn't take out pet insurance for Teddy. Less than two months later, our dog Teddy was diagnosed with Stage 3 B cell Lymphoma, and needed expensive chemotherapy and a specialist Oncologist for his treatment. My other alternative was to euthenase him, or trial cortisone. Chemotherapy gave Teddy an extra 18 months. Cortisone would've given him an average of 6 weeks, and at the rate he was deteriorating, no treatment meant he would be pushing up daises quickly. As it was, all added up, his chemotherapy at Sydney plus what we did when we could, cost upwards of $15 000, spread over 9 months. He responded poorly to the medications, there were a lot of complications, and we were thankful that we had the best Oncologist looking after him - Teddy had a quality and a quantity of life that we would not have had otherwise. Doing what we did, and spending what we did - we did not regret it. But.... when he was no longer in remission, we had no more funds to fight his horrible cancer. We gave him the best life we could, and gave him dignity in the final months of his life. We knew we made mistakes, and we learnt from them. One of the mistakes was not having pet insurance for him. If we did have pet insurance, then we would've had the funds to go through the second round of chemotherapy for him. Now I hope that my pet insurance for Piper ends up being a "waste of money" and I never need it. My insurance for my house, my car and my family's health insurance is in the same camp, if that is the case. But for the same reason that I have house and car insurance, if I ever do need it.... it is peace of mind. If Piper ever gets sick, I don't want to tell my vet that I can't afford the bill, even if that vet is me. If Piper needs specialist treatment, the specialist isn't going to say "Its Ok Liz, you can pay later!, nor do they say "it's free to you because I like you". Maybe it is pride, but I could never ask someone to give me a loan, and I would certainly never ask a professional to give me one. That is why this vet, Dr Liz, the mad vet of Bellambi Lane, has taken out pet insurance for her newest family pet, Piper, and why she puts money aside to cover for the rest of Piper's care, as well as the care for the rest of her pet family - our pet care is part of our family budget. The Gratitude Project is all about appreciating life. In a veterinarians life we have to deal with all aspects of life - birth, death, sickness and health. And unfortunately, we get to deal with this over and over, as our pets are never with us for long enough. Recently, a client thanked me for my gentleness and kindness with her beloved dog - I was the first vet in his 17 years that he would ever accept treats from, and who didn't muzzle him to examine him (he was very growly and cranky usually). I thanked the owner for her kind words, but said it was all thanks to the Healing Angel by my side, who guides me in my daily work. My Healing Angel watches over my waiting room (pictured below) and all of those who come in to Russell Vale Animal Clinic. I am grateful for the Healing Angel, whose gentle presence helps all veterinarians, including me, in our daily endeavours with our animal brethren. My gratitude project is well underway! How is yours going? - I have my immediate family, my four beautiful children and of course, my life partner and their father (hubby), whom you all know as Dirk. - I have my brother and his family (including all of his many many grandchildren). 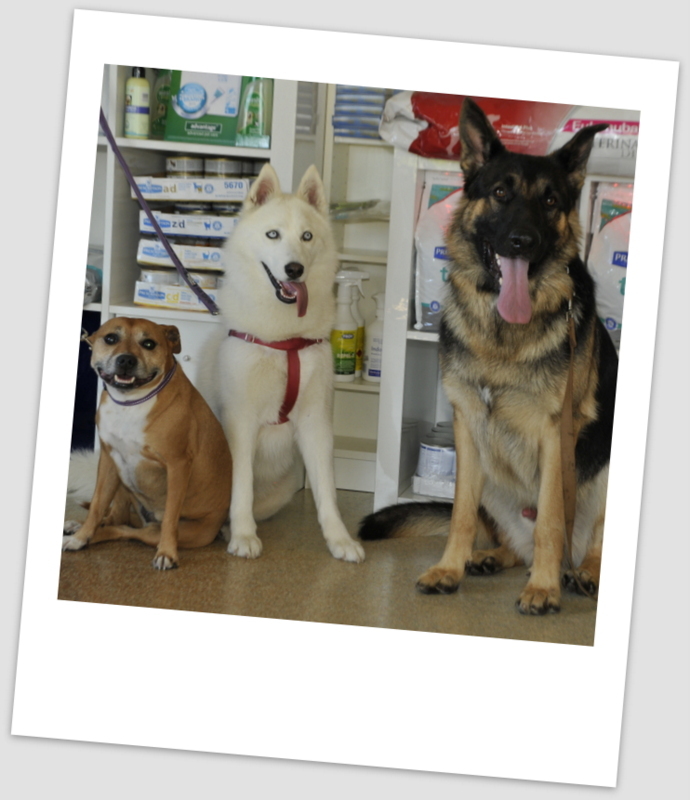 - the pets that come in to visit us are also part of our animalclinic family, as we are a part of theirs. Never take family for granted, as they are never with us for long enough. Our animalclinic family album is packed of family photos, and you are invited to go have a look. If you are part of our family too, and we don't have a photo, why not send one to me and I will happily add it in. at my home- away-from home (work). Some of the animalclinic family! What an amazing few weeks we have been having, and it is all due to a new addition to our family. She is an amazing little dog, and we can't believe she has only been in our family for over two weeks now! She is a kelpie X, born at the end of October 2013. What is she crossed with? I hear you ask. Well, that will be something we will be happy to share with you in the future, as we have organised a Mixed Breed DNA test for her. The results are only a few weeks away, so when I know, it shall be shared. It was an interesting experience for me to go out and look for a new family member. In the past, they always ended up on my doorstep. As a kid, I adopted a puppy called Digger (up until I was 7), then we had Burek (until I was 23), then my Dad and I had Jenna until I moved out. Jenna stayed with him until 2005. In 2000, we had Sugar (a lovable escape artist Maltese terrier) whom we had a client sign over ownership, as she was otherwise going to be euthenased. Until I caved into my kids who felt the emptiness in their hearts that only dogs can fill. As we are believers in adopting pets, and as we are not fussy on breed (they are all beautiful in my eyes), the RSPCA and other pet rescue websites began to be the most visited page during our spare time. It was decided one Saturday afternoon, to drive to the RSPCA in Sydney. We did have some strict criteria though - we needed a dog that was cat friendly, and that was up for an active lifestyle. The Yagoona branch, sadly, didn't have anything suitable. They were either too big, too slow, had severe hip problems that were more suited to a sedentary lifestyle, or just didn't like cats. It was 4 in the afternoon, it was hot, I was tired, and ready to go home. We were all despondent, but as I kept on saying, there is always next weekend! 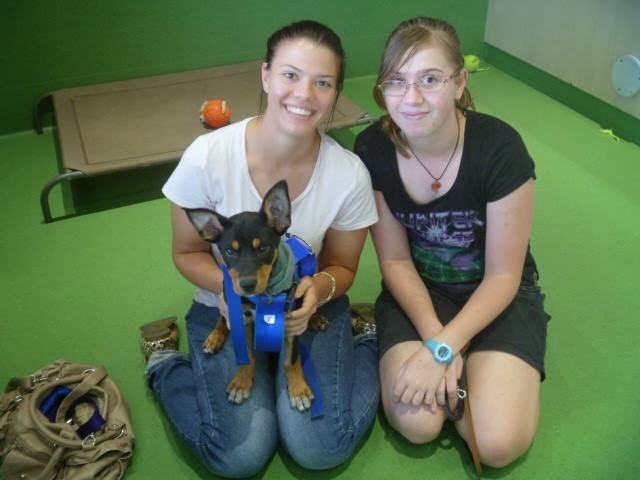 The girls (, however, encouraged me to drive that little bit more, and head up to the RSPCA at Rouse Hill. Aren't we glad we did. There were only two dogs there. One didn't like cats at all - it was a bit older, and looked really sweet. Darn! The other little puppy was fast asleep on the trampoline bed - not too worried about who was coming or going. Do we or don't we wake this one up for a meet and greet? Well, no prizes for guessing what we did. Piper (who was known as Tammy then), came out to meet us - and the first thing she did was to come up to me, roll on her back and show me her beautifully shaved tummy! She only had surgery the day before, but showed no signs of being sore. It didn't take long for the decision to be made - in fact, Piper had made it for us! After signing some papers, and sorting out the money side, we were her new family! We found out that she was one of four puppies, three girls and one boy, and she was the last one. Her sister (called Liz, believe it or not), had just found her new home a few hours earlier. You will get to hear a lot more about the lessons that Piper is teaching us in the coming few weeks, months and years. Meeting our cats, coming to work, visiting Puppy classes in Wollongong, and much much more! I am Dr Liz, the mad animal vet from Bellambi. Why not share stories of the first moment you laid eyes on your dog or cat? If you have any questions on puppy care or behavioural issues, call us on 02 42 845988, as we are fast becoming experts on the more unusual puppy problems, and how to deal with them. The Musings of Dr Liz - Are vet's friend or foe? Welcome to another of my "musings". 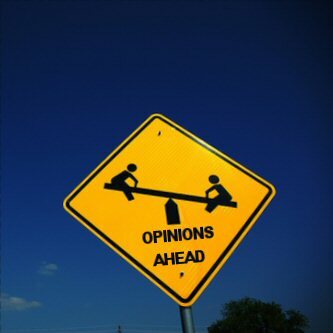 Be warned - opinions ahead! Or are they foe - conniving, manipulating beings whose sole purpose is to scam as much money out of you without giving you and your pet any benefit whatsoever. What has brought this on? Well, 25 years of observing veterinary practice (not just my own), and listening (as I always do ) to the general public - whether I am at the gym, in the supermarket, in the school canteen, or in the cafe enjoying a coffee with my hubby. Even when I come across things via facebook or twitter. Alot of what I hear makes us vets seem like we should all be locked up with the key thrown away, as people complain about how much money they have spent at the vets, and even how ridiculous that they pay more for the care of their pet than they do for their kids. And then, every so often, I find myself in a consultation - in a situation which feels awfully uncomfortable and awkward. I recall those overhead snippets at the local cafe... and let me be honest here... the hair goes up on the back of my neck, like I am in a horror movie (Halloween theme music springs to mind). Why? Because the person opposite me, the owner of the pet, views me as a "foe", an " enemy". They act hostile in the consultation room. They glare at me over their pet as if I am about to steal their soul. I can deal with those who are uncertain, and a bit scared. I am as scared of you as you are of me (seriously). I can understand those who ask lots of questions - I love you guys - it means you and I are on the same page - we want the best thing for your pet! But even after all these years of vet work (up to 23 and boy, does it feel like hard labour some days), I still can't cope with the openly antagonistic, doubting client who questions my motives for ensuring that their pet has the best preventative pet care plan for them. Or the client who constantly asks "Is that really necessary?" One person I met months ago enlightened me as to why she thought people don't like vets - she said because we charged for our advice, because if we cared we wouldn't. I'll remember that when I go get my car serviced (he must not care about cars), or my hair cut (she mustn't care about hair). (this was not a client, I had never met her before, and have not met her since... it was at a pet care forum that I was at - but it was enlightening non the less). All I can say is - Vets are friend, not foe! We care about all of the animals that we see. So when we offer advice on how to look after your best mate, we always have you at heart, not our bank balance. 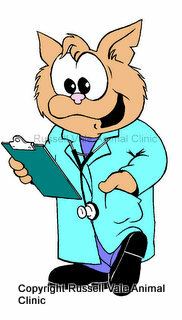 I am Dr Liz from Russell Vale Animal Clinic, the animal mad house of Wollongong.